The new PiMag® Waterfall Filter is the flagship Nikken product presenting one of the easiest and most passive ways to immediately improve the health of yourself and your family. More economical than many alternative water filtration systems the Waterfall, currently retailing at £255 in the UK or $327 in USA (plus p & p), offers one of the best options for anyone wishing to start their own wellness home. 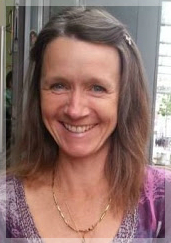 Please explore my website using the coloured tabs above or the scroll bar to the side, and feel free to contact me here >> for further information. At a fraction of bottled water costs you'll be saving more than money - at the same time you're helping to protect the environment. 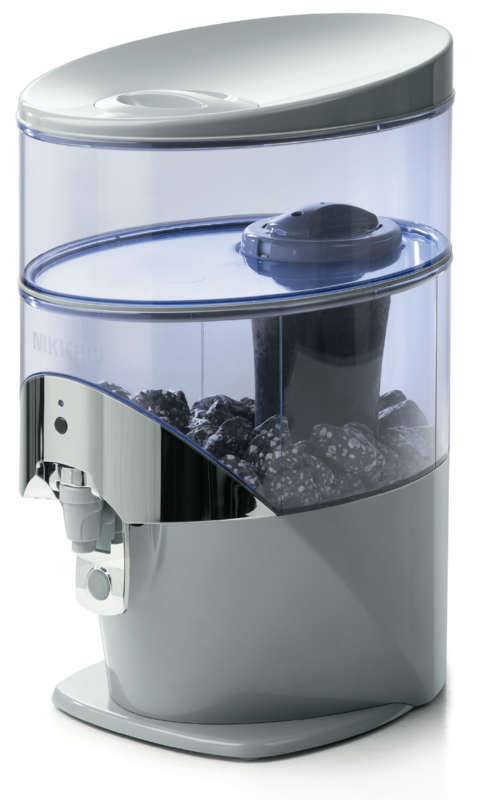 As an alternative to commercially bottled water, the Nikken Water Filters help reduce the number of discarded, disposable bottles that become rubbish in landfills. Many home water filters also waste a huge amount of water - bad for both the environment and your water rates (reverse osmosis systems for example extract only a small proportion of the water for drinking). The Nikken PiMag Waterfall requires no plumbing or electricity and uses 100% of your tap water. Higher pH (or alkaline) water is now seen by many as an essential component of their daily intake of liquids, contributing towards better body balance by counteracting the increased acidity of our modern diets. It is believed that alkaline water with a low oxidisation reduction potential (ORP) helps restore this balance while also helping to defend your body against illness. The PiMag Waterfall's silent gravity system, unique active filtration system and specially sourced rock combines to create pure drinking water with a higher pH level (typically 8 - 9) than any other tap or bottled spring water. The Waterfall needs no electricity or plumbed-in water source, so is easily set up straight out of the box. Tap water is simply poured into the top of the gravity fed system and passes through the filter, over mineral stones, and finally through a magnetic field, before being dispensed as pure energised Nikken Pi water. Our most innovative system to date, the Waterfall is designed to fit neatly on kitchen worktops and underneath standard kitchen cupboards. Ideal for domestic use or small businesses it can be sited anywhere around your home or office, moved from room to room, used in meeting rooms, or even taken away with you on holiday. The Nikken Waterfall has received the coveted Gold Seal of Approval from the Water Quality Association of America. This accreditation is only given to water filter systems that meet rigorous standards for performance, capacity and integrity, in removing a variety of drinking water contaminants. Instead of following the traditional approach of Western medicine focused on curing disease, Nikken's vision of holistic wellness and selfcare emphasizes prevention - avoiding illness rather than curing it. This vision understands that wellness depends upon five Pillars of Health - Body, Mind, Family, Society and Finances. Balance in all of these areas can help to produce a healthier, more satisfying lifestyle. For over 40 years since it's foundation in Japan in 1975 Nikken has been developing high quality wellness products in air, light, water, sleep, and nutrition. 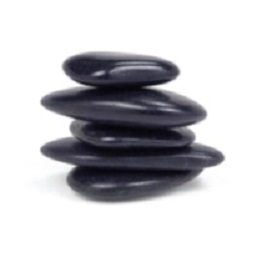 Incorporating the latest research in magnetics, far-infrared energy, and negative ions, these products seek to bring nature into our homes and offices by reconnecting us with natural Earth energies which have become increasingly compromised in our stress filled modern lifestyles. This replication of nature places our bodies in the most beneficial environment in order to heal and thrive. The PiMag Waterfall takes its inspiration from the fresh streams of Japan, where the benefits of mineral rich, alkaline spring water have been known for centuries. In the 1960s Japanese scientists had observed that the water from an isolated hillside stream had a remarkable effect on the plant life in the area. The scientists examined the environment and found that it contained an unusual collection of topographical features including silicates, magnetite and calcium. The concept of pi or living water was born and Nikken researchers set about duplicating these natural conditions in the laboratory to recreate their own form of pi water. What could be more natural than natural spring water flowing over stones? This concept is there for all to see when you display the Nikken Pimag Waterfall in your home. Its unique streamlined design features a chamber where filtered water flows over silicate enriched mineral stones sourced beneath the ocean's surface just off the coast of a small Korean island. The mag element is provided by a 1,200 gauss magnetic field which reduces sediment clumping and energises and structures the water molecules in such a way that they become more easily absorbable by the body's cells. The gentle gravity water percolation encourages natural spiralling as it passes through special BPA-free non leaching plastic cylinders. The resulting water that reaches your glass (or indeed your kettle or cooking pan) is clean, mineralised, alkaline, ionised and oxygenated water that is not only great for your health but is also both easy and pleasant to drink. "The filter not only takes out the bad stuff - it also adds back good stuff too!" The active part of our water system is the recyclable filter. This offers all-in-one multistage filtration through a unique combination of ingredients which both clean and condition the water. The filter takes out contaminants typically found in tap water including chlorine, arsenic, pesticides, insecticides, solvents, herbicides, and heavy metals like lead and mercury. Fluoride content is also reduced. This is an astounding level of filtration efficiency for a gravity-type system comparable to that found in much more complex and expensive technologies. Furthermore unlike many alternative solutions that extract all the goodness from water, this system adds back essential minerals including magnesium, potassium, calcium, manganese and sodium, leaving you with clean living water. We normally say the unit's replaceable filters are good for 900 litres. For a family of four using the filter for all their drinking and cooking needs this translates roughly to 3 months. When purchased through our convenient autoship service the filter retails at £ 38.10 in the UK * - this works out at just over 4p per litre. * please contact us for details including latest prices, special offers, and overseas shipping. This is the current UK price including p&p. You have no doubt heard that you should drink more water. But many people find this difficult. Most drinking water does not taste good, and sits heavy in your stomach, or goes straight through you. Drinking late in the evening will have you up in the night. However think again - not all water is the same - Nikken water is different. The specially structured and magnetised water tastes fantastic with a light and velvety quality. It is easily absorbed by your body's cells providing real hydration at a cellular level, meaning it won't make you feel bloated nor pass straight through you before it has had a chance to have a positive effect. Most of us are chronically dehydrated but our thirst is often misinterpreted as hunger. Our bodies intuitively know what is best for them and on drinking Nikken water they recognise this and will react by making us want to drink more. Consequently the more you drink, the more your body wants, encouraging a healthy cycle meaning rehydration and energisation is reached quicker and maintained for longer. If you resolve to drink more water, resolve to drink the best. Drinking Nikken water is unlike drinking any other water. Try it and see! We are confident that the Nikken PiMag Waterfall provides the best drinking water you can get, at tremendous value for money. You will easily be able to tell the difference immediately and will not want to go back to drinking tap water once you've tasted Nikken water. 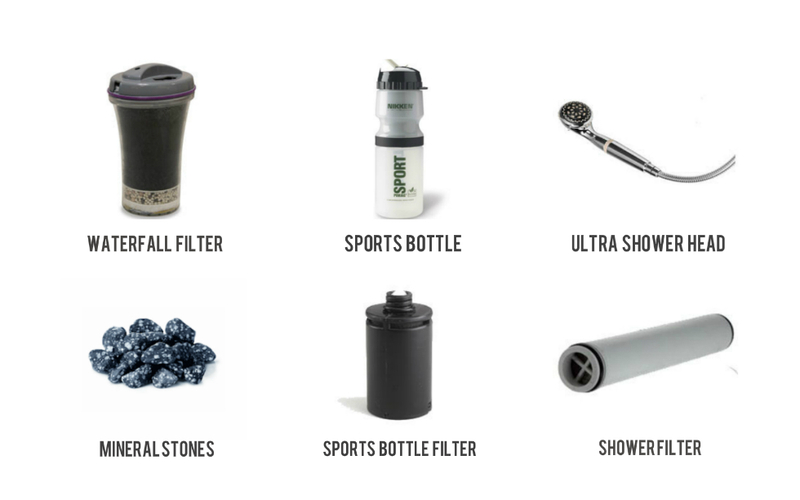 The PiMag Sport Bottle allows you to create delicious PiMag water wherever you go from any safe water tap that you pass. Ideal for sport, work, travel and flying. Our bodies not only absorb chlorine and other disinfectants through drinking, but also through water vapour and through our skin when we shower. The PiMag Ultra Shower Head removes 100% of this chlorine and most other contaminants, helping to avoid common skin irritations and resulting in smoother skin and softer hair. Please click on the product pictures above for more information and/or to order. As with the Waterfall we recommend filters are replaced every 3 months for the Portable Bottle and Shower Head. The mineral stones for the Waterfall should be replaced annually. We are pleased to announce that the Pimag water products, and their replacement filters, are now available direct online to our North American customers (Canada and the US) and our South American customers (Mexico, Columbia, Peru, Ecuador, Panama, El Salvador, Guatamala, and Costa Rica) through the links below. If this website has interested you and you would like to gain further information on the PiMag range please click the following links or visit our online shop at the My Nikken tab in the bottom right of the screen. Furthermore please feel free to give Nicki a call. Statutory Notice: Although every effort is made to keep this information accurate and up to date this is not an official Nikken website. PiMag ® is a registered trademark of Nikken. Our Independent Nikken Consultants do not make any medical claims. Nikken products are not medical devices and may not be recommended to treat specific medical conditions. People who are in their first 3 months of pregnancy, or who have a pacemaker, health problem or electronic device (either implanted or external) should consult their doctor or manufacturer of the device before using magnetic products. Do not place Nikken's magnetic products in direct contact with magnetically sensitive items such as watches, video and audiotapes, computer discs, credit cards and portable electronic equipment. It is illegal for a promoter or a participant in a trading scheme to persuade anyone to make a payment by promising benefits from getting others to join a scheme. Do not be misled by claims that high earnings are easily achieved. *Shipping: UK orders can be processed direct from our online shop - p&p is £10.20 for most retail orders or discounted for items under "autoship". Nikken also operates in the following European countries and we are able to offer Euro pricing including regular shipping p&p to: Germany, Austria, France, Belgium, and Sweden. Please call (0044)7786405366 or email nicki@piwaterfilters.com to order. If you are in the following European countries we will still be able to take your order but shipping will be subject to international courier charges: Bulgaria, Croatia, Cyprus, Czech Republic, Denmark, Estonia, Finland, Greece, Hungary, Ireland, Italy, Latvia, Lithuania, Luxembourg, Malta, Netherlands, Poland, Portugal, Romania, Slovakia, Slovenia, Spain. For customers in the rest of the world including Nikken countries in North America, Canada, US, Mexico, and South America including Columbia, Peru, Ecuador, Panama, El Salvador, Guatamala, and Costa Rica please contact us and we will be able to put you in touch with a Nikken Consultant in your area. For non-Nikken regions please contact us for international shipping arrangements.